In the style of Galaga and 1942, Exerion featured vertical scrolling while shooting many enemies. Parallax backgrounds and moving terrain added to the graphics. Exerion never made it to the NES. This sequel also never made it to the NES. For years it remained as an unreleased prototype. Funds were raised by the users of NintendoAGE which led to the prototype being dumped and released to the public on May 26, 2009. 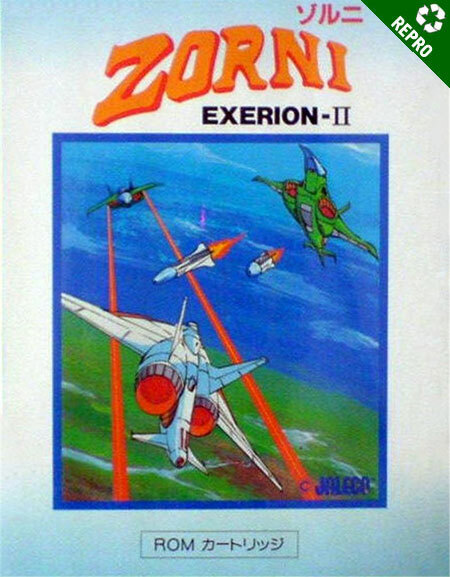 For a while, Retrozone produced a physical cartridge with both Exerion and Exerion II included.